Food is a necessity for every human being and when it is not there, people die from hunger and starvation. 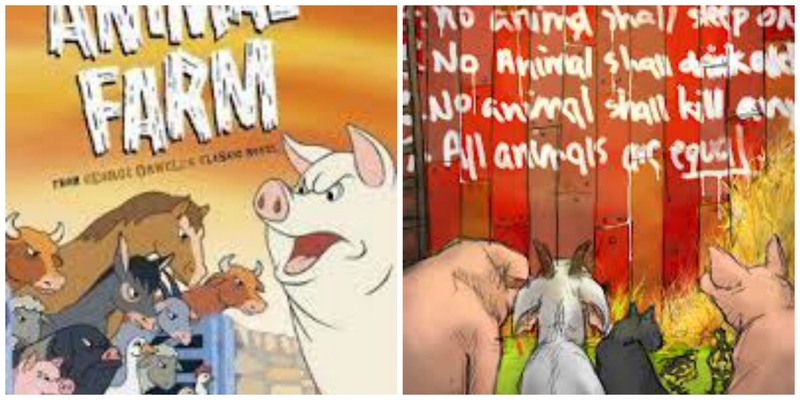 Over the past week, our class has been reading a new book called, “Animal Farm,” by George Orwell. In the book, readers are given and insight of the making, planning, and ending of a historical revolution, but with animals. It starts off as introducing the Manor Farm, run by Mr. Jones. Every character is introduced and all the animals admit that their lives on the Manor Farm are, “miserable, laborious, and short” (5). 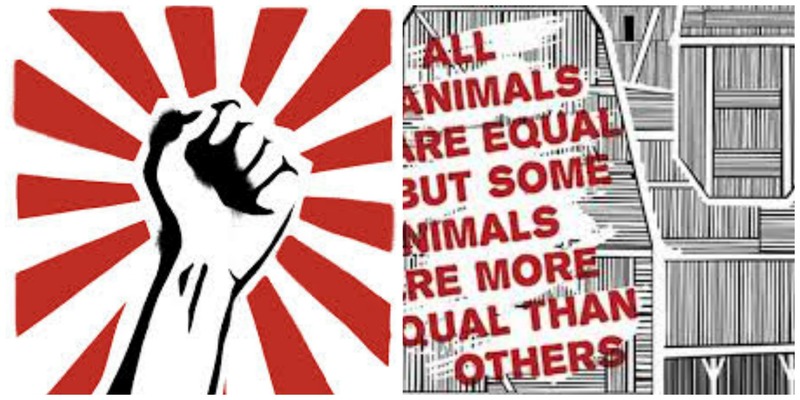 Like any revolutions that have occurred in the past, the animal’s revolution, called the Rebellion, started out with people not having enough food. The leader, in this case, Mr. Jones, only gave enough food to, “ as will keep the breath in our bodies” (5). As the Rebellion ends, Napoleon, takes control of the farm. Napoleon was at first very helpful in the Rebellion, but after he took control, he became a tyrant, like Joseph Stalin. Stalin used his secret police to put terror upon the civilians, while Napoleon used his nine dogs that he educated himself to force the other animals to do his work. The dogs terrorized and even killed anybody that objected Napoleon. This broke one of the Seven Commandments, in which no animal shall kill another animal. Napoleon uses his propaganda creator, Squealer, to persuade the animals that everything is fair and that they are living their lives better than they were before when Mr. Jones was in charge. However, the animals have only received less food rations and more work hours under Napoleon’s control, compared to the other farms controlled by humans. Propaganda is often used during revolution time to the lower class. 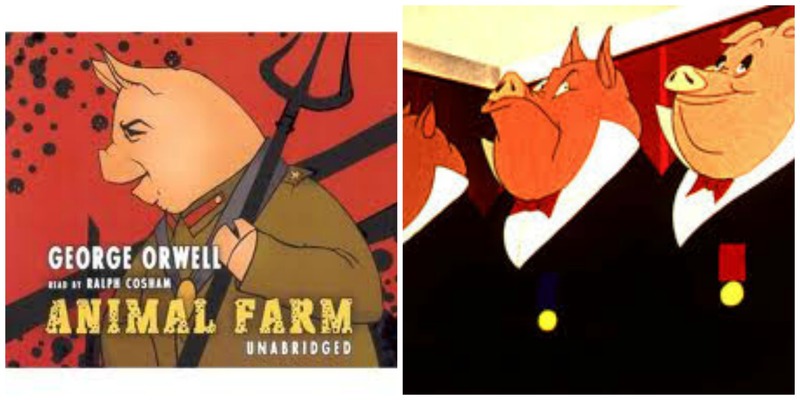 Animal Farm has taught readers that the main cause of most revolutions is food. For example, the French Revolution and many other historical revolutions started because of the government/tyrant has not given them enough food. Usually, the middle-class, or bourgeois, and any other class above that are the ones that receive the most food, while the lower class suffers. The lower class consists of peasants, workers, civilians, farmers, and slaves. The tyrant usually believes that there actually is no food problem and tells the protesting lower class to go find food, but they don’t know that in reality, there is none and are suffering, while the upper class lives their luxury life. Also, the upper class always objects any changes that will affect their life and only cares about themselves. One of the Seven Commandments in the story was that, “all animals are equal.” This, however, was never true, as the pigs took more food from the other animals and had the luxury life of the human. They did this because they were the “more educated” ones and they need more food than the other animals. To hide the truth, Napoleon changes the wording of the Seven Commandments until all that is left is, “all animals are equal, but some are more equal than others.” In the meeting of the humans and pigs, no one could ever tell which was a pig and which was a man.